Although Washington is using the so-called Panama Papers to wage a propaganda war against politicians it despises, especially in Russia and China, this operation has recently come to a screeching halt due to the lack of convincing evidence in those papers. So what we are witnessing now is simple allegations that the political elites of the two above mentioned countries are engaged in some inappropriate financial activities. Almost 2,000 British middlemen helped to create a network of offshore companies and move billions of pounds secretly around the world, according to the Panama papers. Lawyers, accountants, banks and company formation agents based in Britain were involved in setting up 32,000 of the 200,000 offshore companies incorporated by Mossack Fonseca, the Panamanian law firm. Furthermore, as it follows from yet another publication of The Times for over 16 years thousands of offshore companies that own property in the Great Britain were providing the addresses of the largest UK largest law firms in the City like Clifford Chance, Farrer & Co and Withers as their own. For instance, A British banker Nigel Cowie who resided in North Korea for over two decades created an offshore finance company that was allegedly used by the Pyongyang regime for arms trade and be able to carry on developing its nuclear program, says The Guardian. According to the released documents, Nigel Cowie was behind a Pyongyang front company, DCB Finance Limited, registered in the British Virgin Islands. What’s most stinging is the sheer hypocrisy of Cameron. After all, this is the man who made great efforts to increase funding for HMRC tax inspectors; abolished permanent non-dom status from April 2017 and proposed an international anti-corruption drive in the light of the Fifa scandal. It’s now clear that Ian Cameron was part of the scheme as a director of Blairmore Holdings Inc. On top of it The Guardian, one of the 109 international media sources that was granted access to the Panamanian Papers, claims that over the past 30 years Blairmore Holdings Inc. hasn’t been paying any taxes to the British treasury. The directors intend that the affairs of the fund should be managed and conducted so that it does not become resident in the UK for UK taxation purposes Accordingly … the fund will not be subject to UK corporation tax or income tax on its profits. Those facts manifest the blatant hypocrisy of the British Prime Minister. After all, he publicly opposed offshore practices back in May at the recent Anti-Corruption Summit in London, while claiming that his supporters would develop a comprehensive legislation that will put an end to the illegal activities of the so-called British tax haven. I’ll continue to make the case for transparency with international partners, including the British overseas territories and crown dependencies and I am willing to go further, and take concrete steps to force the pace. Under these conditions, the British society seems to be determined to pursue the resignation of the vicious Prime Minister, forcing a vote of no confidence to be taken. 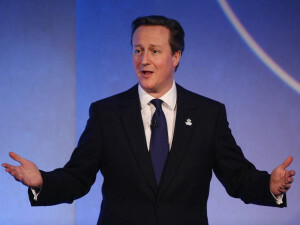 Several British parliamentarians said that after the scandal with offshore companies, David Cameron should leave the position of the chairman of the Labour Party, while Labour’s deputy leader Tom Watson urged Cameron to hand over all the money that he received through offshore companies to the British treasury. But the Panamanian Papers have not simply exposed the shadow schemes that are constantly being at play in London, they show what Washington and London have been desperate to impose upon the Middle East, Africa and other regions around the world along with the so-called “Western style democracy”. It also makes one to wonder why in recent decades the UK has become a safe heaven for numerous “political foundations for the struggle for democracy” (such as The National Endowment for Democracy and the likes of it), and whether those are also involved in such financial scams under the guise of fighting for the right cause?